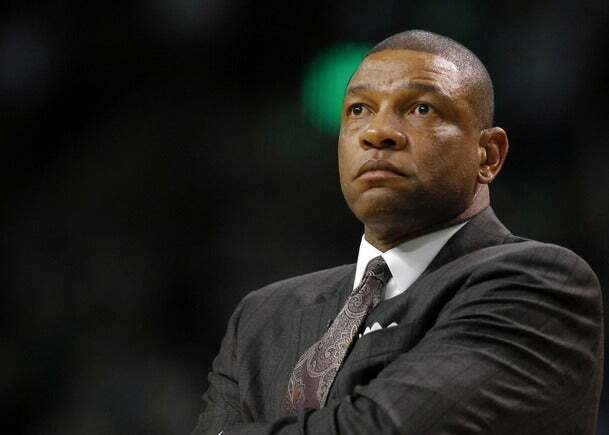 Doc Rivers was in a reflective mood Monday on WEEI-AM as he was asked about his return to the Celtics on a five-year contract and the Kendrick Perkins trade, still the most controversial aspect of this season. Rivers said he wanted to dispel any rumors that he would leave for another team and said he never felt burned out this season, despite the Celtics’ topsy-turvy year. “I don’t know where the ‘going somewhere else’ came from. That was all over, especially of late. That was one of the reasons I wanted to do this,” he said. “I hear the rumors just like you guys, with all these different teams. My thing is, I have a special team, and I have a special group of players. Why change? For the full audio, visit WEEI. Rivers said he is here for the long haul and is willing to foster a rebuilding plan following the Big Three. “Well, I don’t think anyone’s looking forward to that, but I’m willing to do that,” he said. “I had a group that has been very loyal to me. I think it would have been very easy for me to just run and go somewhere else and chase something else. Who says that we still can’t [reload] with free agency and adding the right pieces? While our Big Three are getting older, we have to add the right supporting cast to them. In that transition, hopefully we can still chase what we want. Rivers told the station that he wishes the Celtics had waited until the end of the regular season to make a decision on Perkins instead of pulling off that February trade. “Well, it was more not that the trust went away, the know-how went away,” Rivers said. “The continuity went away. That’s what the trade affected more than anything. Obviously, Perk was great to our team and all that. But it was more that you have new guys playing different positions and you had a guy who could literally reach back into a playbook and throw out something that was three or four years old and they all knew it, when Perk was there. “Well, I would wait until after the year is over. I’ll put it that way. I do think Jeff Green has a chance to be a starter for us in the future and a hell of a basketball player. And Krstic can help. But making that trade at the time we made that trade, that made it very tough for us. And not only that, we added other pieces as well that we tried to fit in.